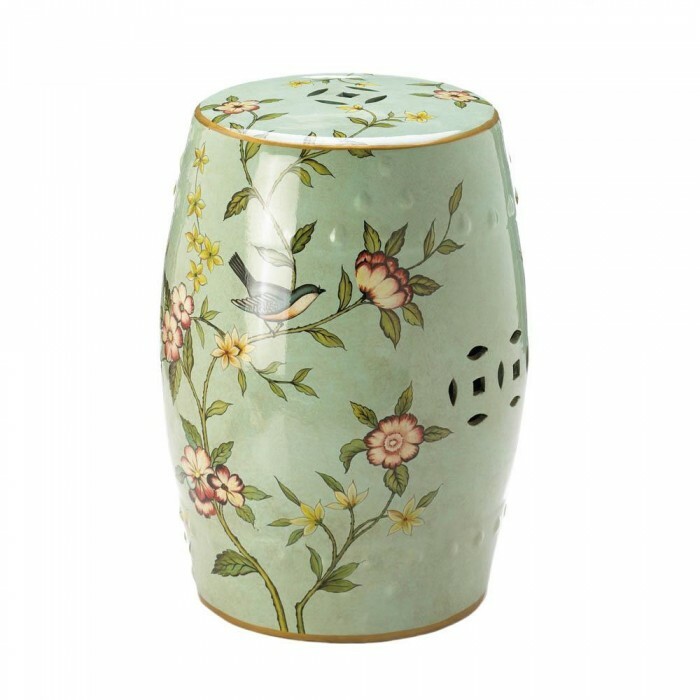 Bring the glorious sights of a garden in bloom inside with this beautiful ceramic decorative stool. It's soft green background is the perfect stage for blue birds and blooming flowers to shine. 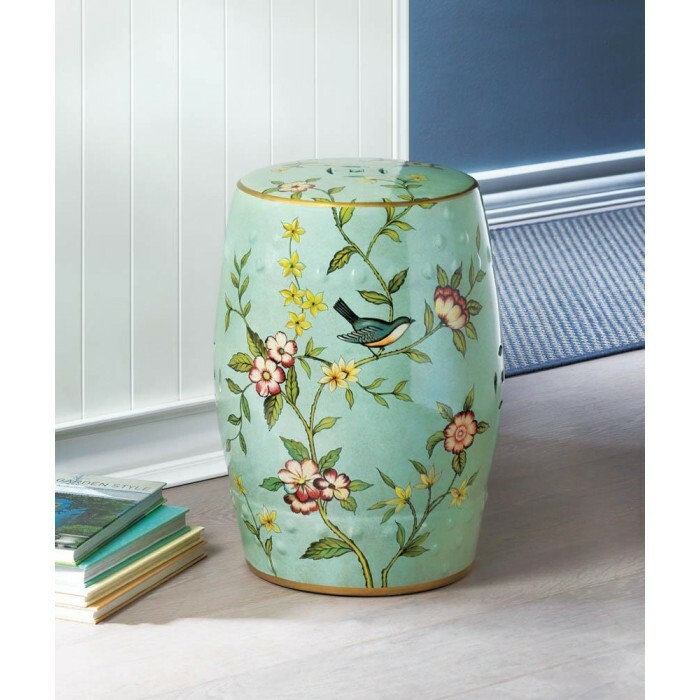 Use it as a room accent, a side table, display stand, or a stool! 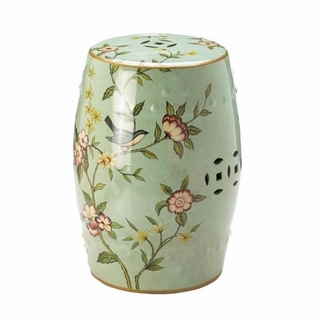 Stool has a bottom opening with an approximate 6" diameter and is hollow inside. Weight	16.5 pounds	Dimensions	13.2" x 13.2" x 18"